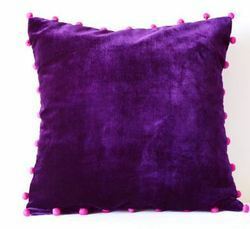 · Cover made of superior quality velvet which gives a smooth finish to the pillow. We are counted as one of the top organizations involved in offering an exclusive range of Velvet Baby Pillow. These products are designed from high quality fabric. The baby pink color is selected perfectly for a kids pillow. The design is simple and yet adorable. Let this little bunny named Melody put a smile on your little one’s angelic face. Our firm is ranked amongst the reputed names in the market for offering an extensive range of Colored Pillow. This lovely butterfly cushion made from bright pink cotton velvet fabric, with pretty soft textured applique and embroidery, is perfect for any girl's room. Size - approx 25 x 35cm. Being a leading firm in this industry, we are deeply engaged in offering a high-quality range of Velvet Baby Pillow. 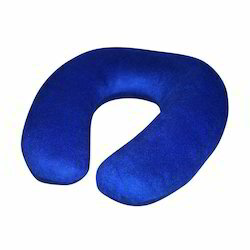 Owing to the wide experience of this domain, we are instrumental in offering Rubberised velvet Air Pillow to our clients (Vikas Velvet Double Color Air Pillow). Price Range 120 Rs. to 280 Rs.